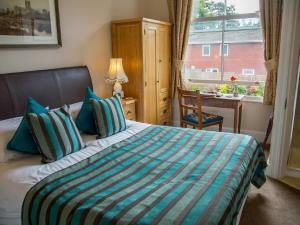 Southbank House01432 341886work Bed & BreakfastLocated in a quiet conservation area of Hereford, Southbank House is just 10 minutes’ walk from the city centre. 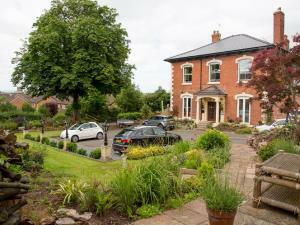 This elegant Victorian villa is surrounded by mature gardens with a well-lit private car park. 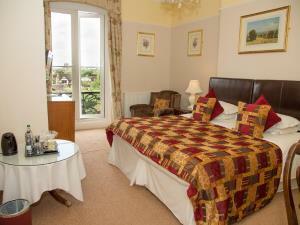 Southbank House has five comfortable, well furnished bedrooms offering excellent facilities. The bedrooms are spacious and light, with some giving spectacular views over the Cathedral, the city and the Black Mountains beyond. 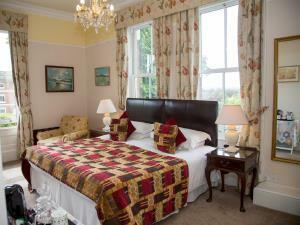 The rooms are furnished with period style furniture and beds are made up with top quality Egyptian cotton linen. 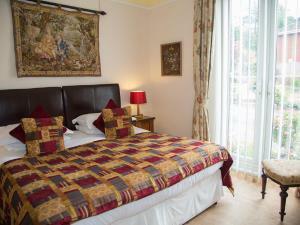 All rooms have Freeview TV, tea & coffee making facilities, hair dryer and hospitality tray. There is free Wi-Fi throughout the property and our guests have use of our elegant drawing room with its ornate ceiling rose & original Victorian fireplace. Relax in the conservatory or enjoy the elegance of our beautiful drawing room; a “home from home” with a touch of luxury awaits you at Southbank House! Non-smoking. Secure storage for sports equipment. Prices for bed and breakfast start at £69 pppn for single occupancy; with standard double rooms from £79 and superior rooms from £85 per night. Prices include a full, locally sourced, English breakfast served in the elegant Victorian dining room (continental & vegetarian options available). Superior double room on the ground floor with en-suite bathroom.